Make a Girl Swoon This Valentines for Under $50! Valentines is officially just days away! And if you haven’t started picking out gifts for yourself, your bestie, significant other, or mother yet! Now’s the time! I know thinking of gift ideas may be difficult! You want something that’ll make her (or yourself) swoon, but at the same time you don’t want to break the bank. So yours truly have compiled a list of Valentines gift ideas for $50 and under! You’re most certainly welcome! These were my top picks for this season because YSL really did a fantastic job amping up Valentines. 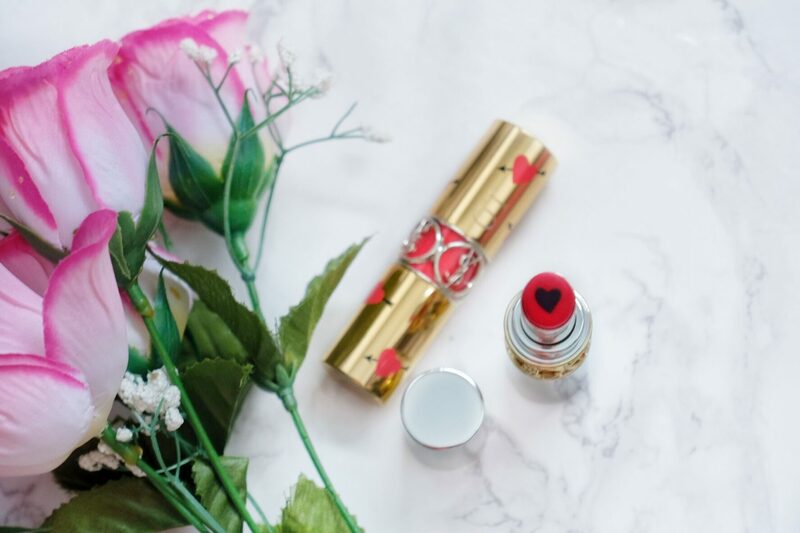 They released the new YSL Heart and Arrow Collector Rouge Volupté Shine Lipstick (Left/Gold – $38 USD) which has a packaging that would definitely steal any girl’s heart! And if your girl is a collector, this limited edition will be a must-have! My second choice would be the YSL Volupté Plump-in-Color Plumping Lip Balm (Right/Silver – $39 USD). I love the cute little black heart in the middle and the silver packaging sets it apart from other Volupté lippies. And the black heart in the middle is not just for looks – it contains peppermint oil, a rich cocktail of antioxidants and vitamins, and hyaluronic acid to lock in moisture! Which makes it perfect for the winter seasons! PS: If you order via YSL beauty website, you can also get it engraved free of charge! Which is a special little touch! Filling in anniversary dates, initials, or anything sweet like that! I don’t know any girl who doesn’t love Chanel. But when we think Chanel – we think of our wallets bleeding. That’s not always necessarily true. You can get a nice gift from Chanel at $50 and under! These two are my top picks for the cold season and definitely something to write home about. Chanel Lés Beige Healthy Glow Lip Balm (Right – $25 USD) is going to be your best friend. It’s super moisturizing and gives you the “your lips but better glow”. It’s available in three different shades and is packed in a luxurious Chanel classic lip balm case. At the price point, it’s better than any competing luxury brand balms. Tested and tried, this is currently in my winter jacket pocket all day long. 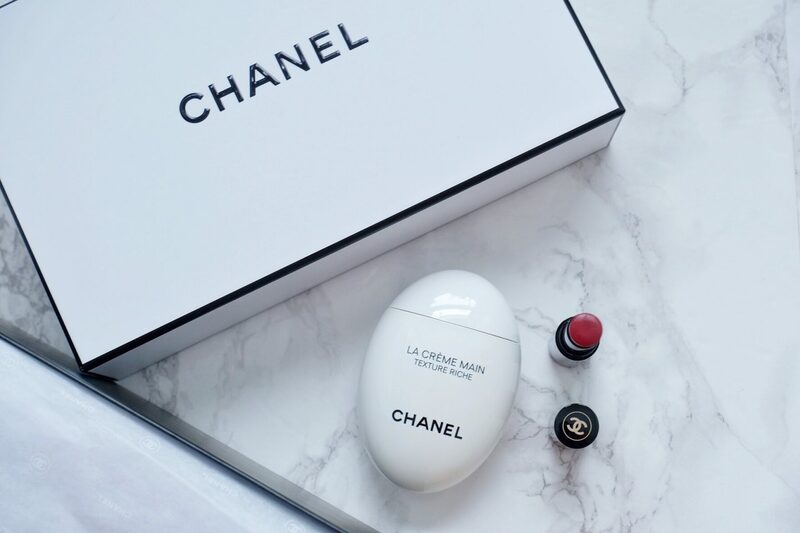 Chanel Le Cremé Main (Left – $50 USD) is Chanel’s hand cream that has been hyped since it’s release for it’s beautiful, sleek, egg-shaped packaging. It’s been the talk of town and it’s simply gorgeous. It’s elegant and simply amazing for any girl to pull out of her hand bag to moisturize during the cold and dry months. It’s light floral fragrance also makes it exceptional to pair with a girl’s existing perfume or just for use as a light subtle hint of fragrance. Plus, if you order from Chanel Beauty online, you can get it beautifully packaged in a box! Or if you get it in stores, a Sales Associate can wrap it for you in Chanel gift wrap with camellia. Trés Chic! 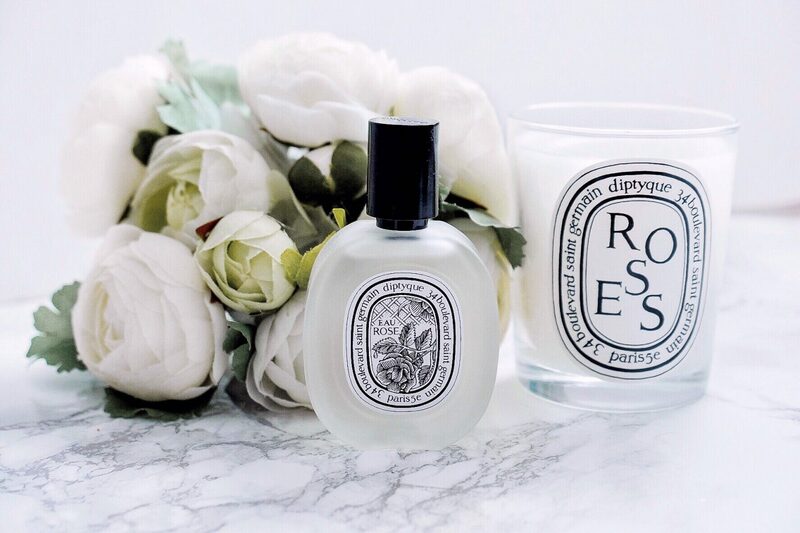 Need another Diptyque option? This Eau Rose Hair Mist will do the trick! It’s enriched with nourishing camellia oil – a light and delicate spray which fortifies, beautifies, and perfumes with a graceful rose scent. I really like that it’s an item that has duo usage! A parfum as well as good for nourishing hair! Yes please! This HERMÈS Deluxe Replica Coffret Set ($50 USD) will surely capture a girl’s heart. Most perfumes out there will range higher than this price point and you may be lost as to which one she would like. This set gives her the opportunity to try a range of fragrances and see which is for her. 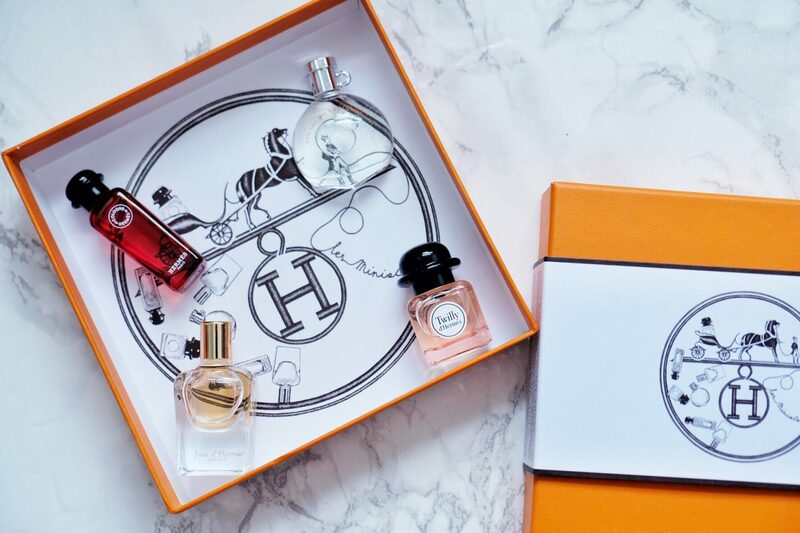 Plus, who doesn’t love getting a little HERMÈS orange box?! And when the little miniatures are this cute – even if she decides not to use it, it can be little collectibles! Well, that’s all beautifuls! Hopefully you have found something that makes your heart sing! Or maybe it gave you some inspiration for a Valentines present! Whatever it may be, I wish you all the best and sweetest Valentines Day! PS: Write back and let me know what you think and if any of these options gave you inspiration for gift ideas! 😀 Cheers! This post is not sponsored but contains affiliate links. Previous Post Easy Halloween Look! “The Black Kitty” Under $10! The hermes duplicate box looks so lush. I might just get one for myself. These are some great ideas! I told my husband to just get me a card and that I’ll get chocolate for 50% off the next day 😉 I’m pretty cheap! What some absolutely awesome ideas for things to get, I’ve ordered my other half a game and he’s backed a kickstarter for me, haha! My husband tends to go overboard with gifts. So this year we are skipping gifts and going out to eat. These are amazing gift ideas and so affordable! Thank you Thank you Thank you! I super love the package. These are all pretty awesome items you got here. Perfect for gifting and surprises. They are literally all my favorites. I love these items! They would all make perfect V Day gifts! These are some really great ideas. We stopped doing lavish gifts a while ago but maybe we will get back to them! Oh girl! You were sorted for Valentine’s but first, I want such a teddy bear too! Anyway, for the love of Chanel, that lip balm will do. Oh my wife love chanel, they are amazing gift ideas thanks for sharing. With channel and Dior getting stuff under 50 dollars is really nice, that will be great gift any time. These are all lovely stuff. How I wish I can have them just now. Absolutely perfect for gifting. Oh my. The lipstick with a heart on it is so pretty! I would love to have one for myself! Love, love, love your Chanel selection. Thanks for sharing! These are some lovely stuff. I want them all now. The lipstick with a heart on it is totally amazing. Hey! This is a guide not just for couples! It’s precisely for those who want to love themselves or friends! 🙂 so I’m sure you can pick something out for yourself and your friends! These are lovely dear! Can’t go wrong with any of these. Thanks for sharing!